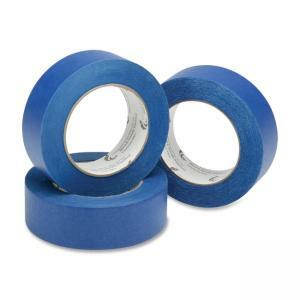 Premium painters tape is used to mask off areas while applying paint, varnish, stain, and many other finishes. Medium adhesion removes cleanly without adhesive transfer or surface damage for up to 14 days, even in direct sunlight. Crepe backing offers exceptional conformability to semi-smooth surfaces.